FILA has unveiled a limited edition of it's iconic basketball silhouette, The FILA 95, produced in conjunction with sportswear retailer, Mr Alan's. The special edition sneaker is designed in a white, biscay bay, red and gold fusion colour way and has unique features such as pony hair and patent leather embellishments. 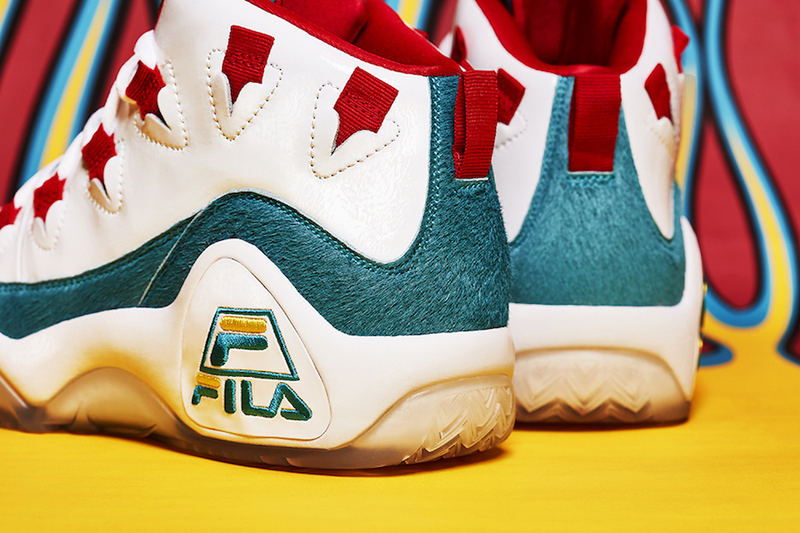 The FILA 95 x Mr. Alan's sneaker also comes with a special lace system, and webbed gillies running the length of the eye row and around the ankle. It also features a clear ice outsole with a printed flame graphic underneath in the same biscay bay, red and gold hues. 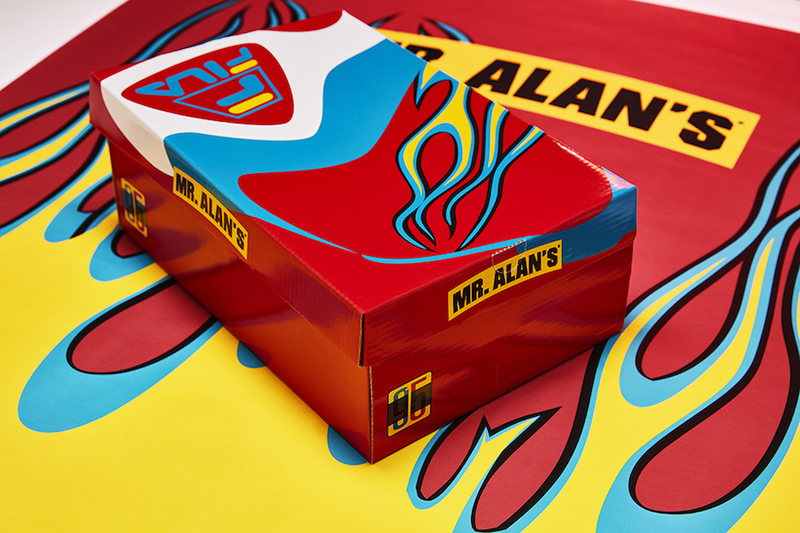 A custom shoebox was created for this launch with an aesthetic that ties back to the sneakers. 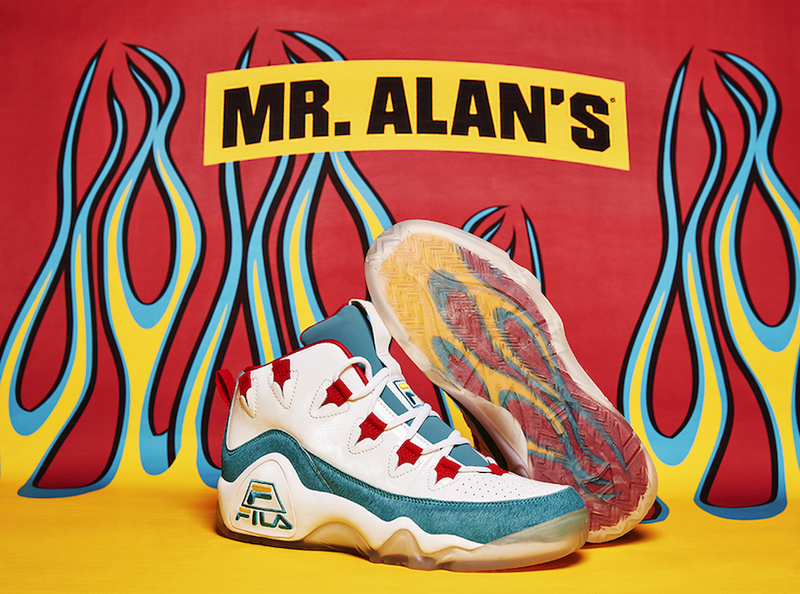 The FILA 95 x Mr. Alan's sneakers will be available online from January 12 at www.MrAlans.com and in selected Mr. Alan's stores from January 13.